Of course it’s a Glee cast member. The CW’s DC shows are like vultures. They pick over the corpse of Glee and take everything valuable from it. I mean that in a nice way, of course. I love vultures. 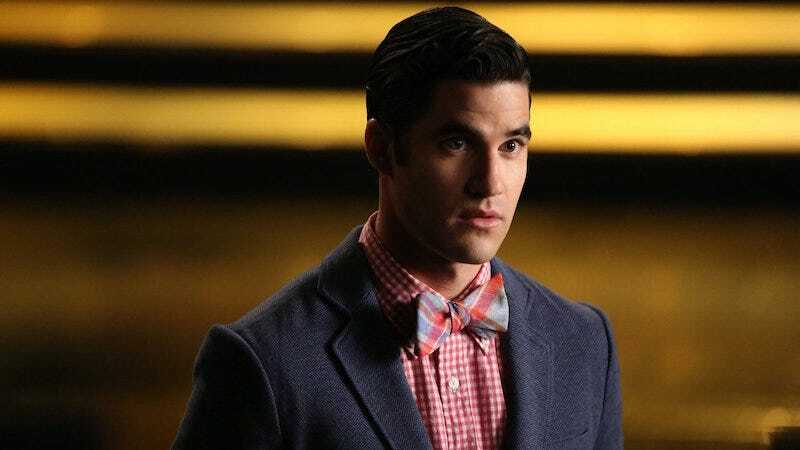 As reported by TV Line, the Music Meister will be played by Darren Criss in the Flash/Supergirl musical crossover. He’ll be reuniting with fellow Glee alums Grant Gustin and Melissa Benoist for the two-part musical. If The Flash can find a way to make Mark Hamill’s old Trickster outfit work, they can totally make this work. We won’t find out until March 20, when the end of Supergirl will herald the beginning of the crossover. The second crossover of the year. For all the times these characters interact, the walls between the two realities are just so thin they might as well not exist.